Last weekend winter threw us a break from the usual damp miserable Vancouver weather and rewarded us with a dry sunny day. Only too eager to take advantage of winter’s blessing, John Knowlden and I layered up slapped on some pegs, threw on some gloves and got street as sh@$! John and myself have been talking about doing a ‘Wallrides Street Ride’ for almost a year now and finally we got it done. John taking in a familiar downtown eastside spot with a decent Wall-tap. 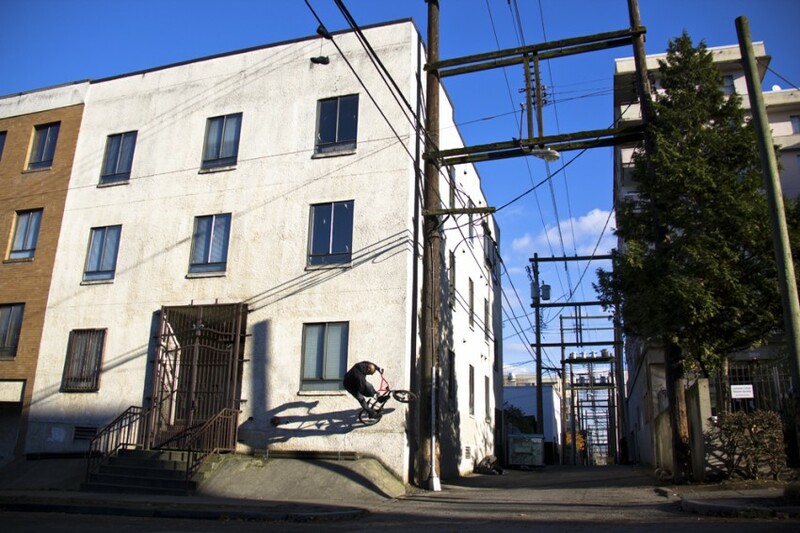 Vancouver is home to tons of wallrides of all kinds, all it takes is a sense of adventure and the persistence to explore every alleyway, nook and cranny. 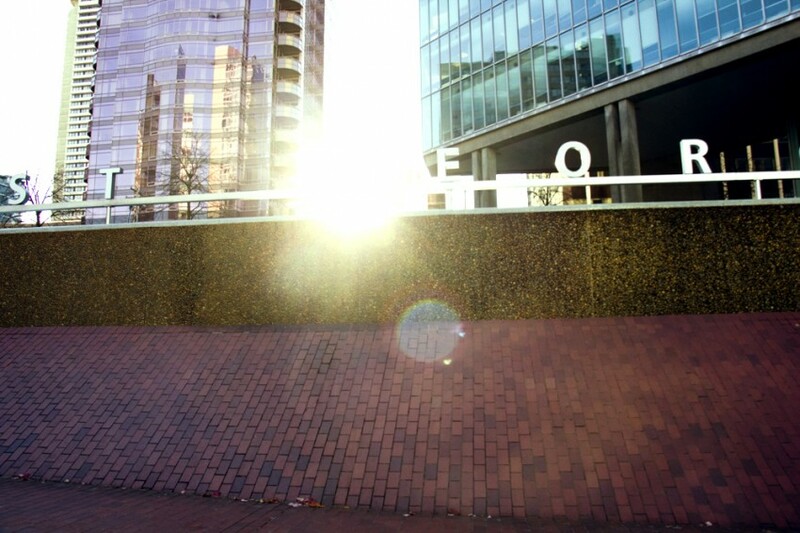 On this day we stuck to the more renown spots like this one in yaletown. Don’t take it for granted, John is well over handle bar height here off nothing more than a curb. 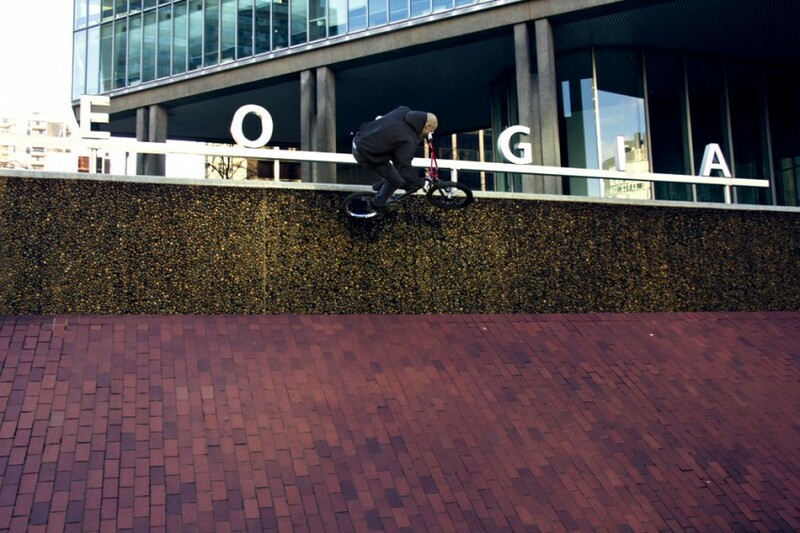 Probably the most well known wallride in Vancouver aside from the curved walls (but probably still better known) is the Georgia street banks. Winter is the perfect time to hit them because the city turns off the water that usually falls endlessly over the wall so if you brave the cold you are well rewarded. John mach ten at the wall and boosting out the top, typical Johnny style.